Fast anytime you want. Once weekly. Three times weekly. Off and on for several months? See what I mean? Oh, and there’s a 7th option: drink coffee with butter and MCT oil as breakfast, but no other breakfast. This is called Bulletproof Intermittent Fasting. Another version of all this gets into Ketogenic Diets, where fat is a major source of calories, and proteins and carbs are reduced. Many people assume IF and Keto go together, but they are different diets with different goals, and yes some people do them together. Ancestral humans did not have a steady supply of food. We were “fat adapted” instead of “sugar burners” as we mostly are now. Burning fat for fuel is efficient. It keeps us lean but strong and able to withstand periods of poor hunting. Modern humans have become dependent on quick starchy foods (grains and sugars). These carbs make us store fat but this type of fat is not easy to metabolize. We can’t burn it so we keep reaching for more carbohydrates to get through the day. We get hungry and tired and perpetuate the sugar cycle. Intermittent Fasting aims to retrain the body to break the carb addiction and burn fat (some of which we manufacture in the body to be burned as fuel). If you’re still eating cereal, juice, sandwiches and pizza and suddenly attempt to go without food, you’ll likely be miserable and so will the people who live and work with you. Work on going Paleo and getting balanced before you dive in. (See my Diet For Human Beings DVD, disc or download). In my experience, and in human history, fit young males can handle stressors better than anyone. Hunger, reduced sleep, physical hardship, and more…. The majority of folks writing about success with Intermittent Fasting are males who exercise regularly. 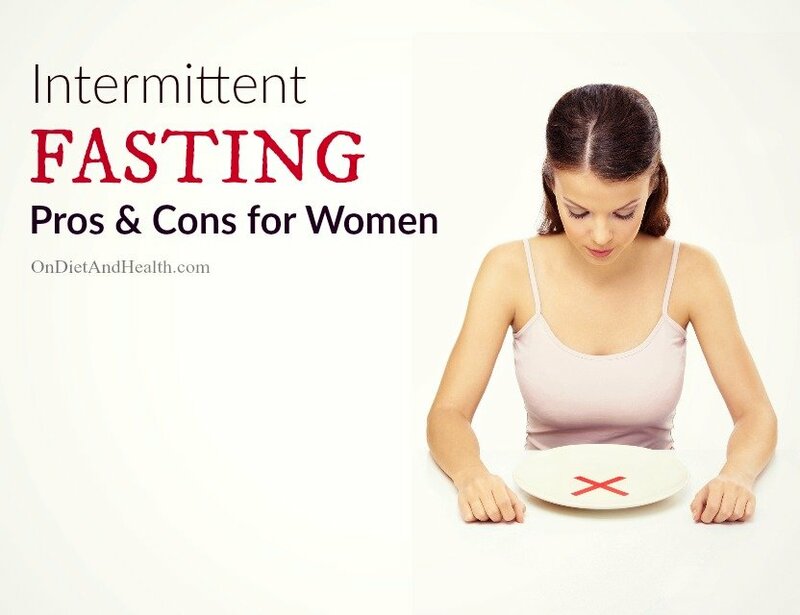 There are few studies on fasting in men vs. women. Stephanie Ruper of Paleo For Women wrote a great article on the bias in studies towards males, and the lack of good reporting on female fasting. 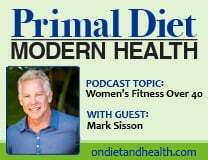 What she did find tells us that caloric restriction for women causes havoc with hormones, and therefore fertility, libido, menstrual regularities, and acne. The thyroid and adrenals also suffer with low calorie living. It seems to me that males, lacking monthly cycles, are more hormonally consistent. Higher testosterone and muscle mass make them better fat burners than women. Women are sensitive to hormonal swings and are more affected by stress, needing to keep children and family safe. 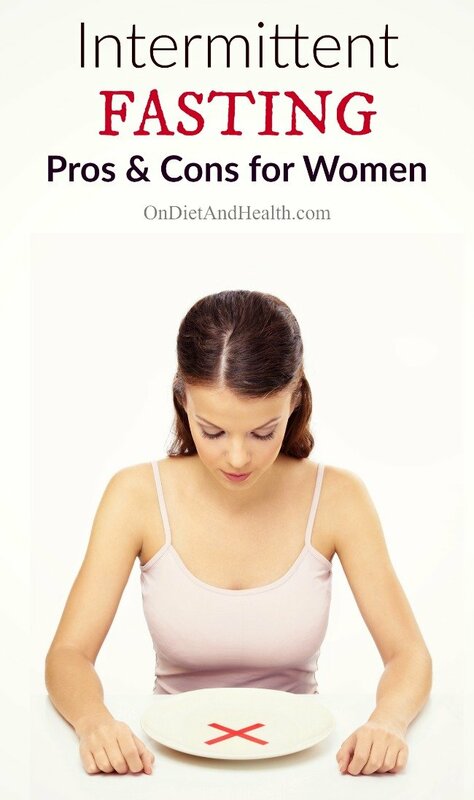 Women will stop ovulating or having cycles altogether if under-fed or overly stressed. It’s too easy for a woman to be thrown off balance with IF. Perhaps muscular women or those with higher testosterone have an easier time?? We need more studies on this! If you need to lose weight and improve triglycerides and glucose metabolism, intermittent fasting can be useful. Reduce your starches, add the right fats and stick to a simple plan such as not eating after 7PM and you’ll get results. Observe if your results are from calorie reduction, calorie redirection (less grains – more fat and veggies) or from training the body to be independent of a steady supply of carbs. Either way, studies for weight loss, body composition and blood work improvements are numerous. Put a fancy name on it and suddenly it’s OK to skip meals? Most women in my clinic declare they “must” lose weight…. maybe it’s 5 pounds. Maybe it’s 50 pounds. But most of them barely eat enough now. Intermittent Fasting women do report anxiety and insomnia. These and other neurological states are starvation responses. Hyper-vigilance is nature’s way of making us better hunters when we’re starving. Do you really need another excuse to avoid cooking and eating properly? Since humans have devolved from our natural hunter gatherer state, our genes have become dysregulated. We get sick and mentally overwhelmed more easily. We are dealing with modern stressors never faced before. In the face of many generations of nutrient deficiency, our bodies can’t just throw a switch and become Super-Hero’s overnight. Lifestyle changes need time to make repairs. One of the main jobs of the adrenals is regulating blood sugar. Asking an already tired, unwell woman to go without food puts another huge burden on the adrenals to regulate keep blood sugar. One of the first things I tell tired and unwell clients is to eat regularly. Give the adrenals less work to do while we repair them. These two products in my online store can really make a difference in adrenal health and managing stress. And try my favorite Passion Flower too. It really calms your brain down and helps reduce anxiety and insomnia. If you’ve been told to eat 5 times a day or follow a strict eating schedule (no fruit after noon; no protein after 5, etc. ), you’ll have more freedom to just eat when you’re hungry. As long as you’re not restricting calories you’ll also spend less time buying and preparing food. Additionally, if you’ve got a strong food addiction and are willing to break it, this may work for you. If you’re not already fat-adapted (obese, not exercising, eating too much starch and sugar), you could hate this more than anything! Get healthy and fitter first, then consider skipping meals on occasion if you can handle it. I suggest women avoid IF unless they are young, fit, healthy, getting enough sleep and living happily. Avoid if you are pregnant, trying to get pregnant, or may wish to become pregnant soon. In short, if you’re physically or mentally stressed, eat on time and eat right. Males who are fit and not chronically unwell may find IF beneficial. In the spirit of full disclosure, there are affiliate links in this article, which means that I may get a commissions if you decide to purchase anything when clicking on them. I only recommend products & systems that I use and love myself, so I know you'll be in good hands. Please keep up your inspiring and prolific work. 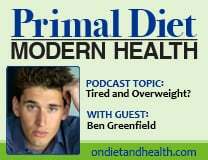 I first heard of the Specific Carbohydrate Diet on your podcast. No more stomach aches and no more arthritis pain. Love your Facebook page. I really appreciate you! People get so much more with Consults than what they’re hoping for. I came with one main goal – to decrease my prescription. It’s been cut by 2/3rd’s but my sleep, energy, mood and digestion have also dramatically improved. 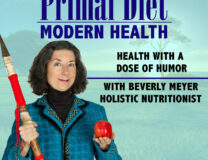 Beverly, your devotion to your health practice and podcasts has really changed my life. I work as a dancer/bodywork practitioner in New York City and continue to spread the word on you and your work.